Initiated by the Dutch Ministry of Economic Affairs and with the support of our consortium with the Royal Dutch Society for Physical Therapy and MVO Netherlands (CSR), we created a health hub centred in the Netherlands. 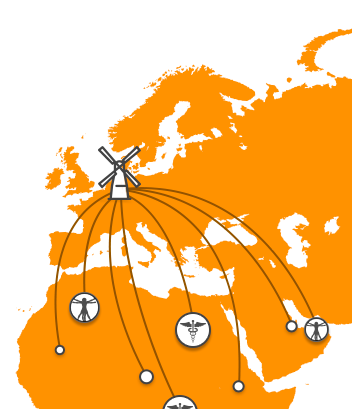 Bridging the world expertise and collaborating within our expanding healthcare network. In order to bring our partners the best value, we built up our consortium to fulfil our objective of highest quality service and unique value proposition.